Reserve your room early for more chances to win! You must reserve your room at the Westgate by May 23rd. You must be part of the chess festival group. You must leave a deposit for the first night’s stay. If you are the winner it will be refunded. For each day your reservation is active you automatically get one more “ticket” in the lottery. The drawing will be held on May 31st at 6:00 p.m. at the Las Vegas Chess Center. You don’t need to be present to win. Prize limited to 1 premium or signature room, single or double occupancy. on line link says it is inactive? Thanks for pointing that out. It’s fixed now. The newer website is straightforward and easy to explore. This is one of the greatest chess tournaments for youth chess player, we will do two tournaments and stay there for 4 days. 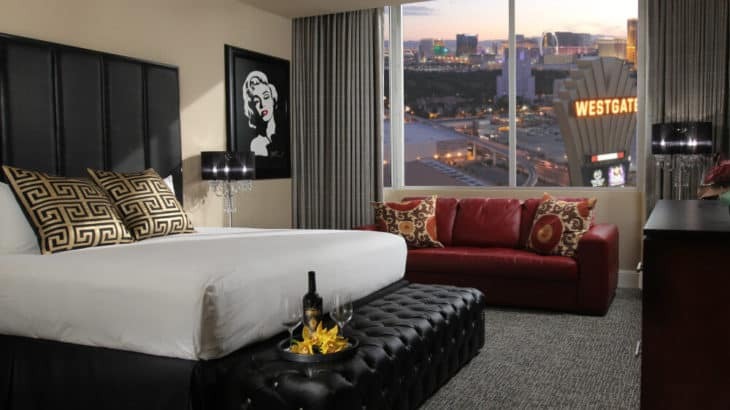 The hotel is a quick Monorail ride away from the Strip, plus I doubt we’d get these excellent hotel rates if the event was on the main Strip! I have complied with all your rules as stated above. Where do I find confirmation of that? Do you send me an email? If your hotel reservation is confirmed no other confirmation is necessary. The hotel provides us with a list of reservations in our group and the dates they were made. We will use that for the drawing. I reserved the hotel few weeks ago but have still not registered for the national open because I am undecided as to which section I want to play in. Is there a registration deadline in order to be eligible for winning the free hotel stay? Thanks. The free hotel room drawing is not tied to entry. Often the room is in a different name than the player (for example a parent or spouse). As long as the reservation is confirmed in our group and still active at the time of the drawing you are eligible. We had been to westgate last year for the chess tournament and it’s always fun to be there! The National Open and the U.S. Women’s Open are co-sponsored by the U.S. Chess Federation. The Las Vegas Chess Center sponsors Spirit of Chess. St. Louis Chess Club for the use of their DGT boards. Donates Chess Videos for 1st Prizes in the International Youth Championship.